Help solve crimes using serious STEM skills! Human fingerprints are one-of-a-kind and very intricate. They are keys that a fingerprint analyst uses to open the door to identification of a victim or of a criminal. 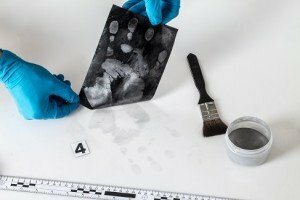 You don’t have to be a police officer, detective, or coroner to have a career in forensics. A fingerprint analyst plays an important role in solving crimes and providing evidence to prove a suspect’s guilt or innocence. 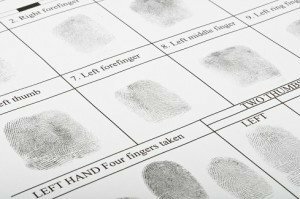 A fingerprint analyst is an important part of the forensic team and has had a role in identifying those with a criminal past for the last century. The fingerprint analyst may work in several different capacities. Analysts may work at a crime scene to detect any fingerprints by brushing a fine powder on a surface or using chemicals on items to reveal fingerprints. Others may take fingerprints from crime suspects or crime victims by using black printer’s ink on the fingertips which are then rolled over a white card to leave the impression of what are known as the friction ridges. A more modern technique is a digital scan, called Live Scan, which records the print digitally on a glass plate. An instrument called a Kelvin probe is being developed to allow fingerprints to be recorded without destroying DNA evidence on the same surface. Once collected, the fingerprints must then be identified. The fingerprint analyst accomplishes this task using a database managed by the FBI called the Integrated Automated Fingerprint Identification System or IAFIS. This system has over 51 million criminal record subjects and over 1.5 million non-criminal fingerprint records. Because fingerprint analysts are expected to be able to use computer and photographic equipment to examine and identify fingerprints, their education begins with a four-year degree in forensic science or a related major such as chemistry or biology. Courses recommended by the American Academy of Forensic Science are math, chemistry, biology, and criminal justice. Training on the job teaches analysts how to input, scan, and compare the fingerprint records in the national databases. Because of the advances in technology, a fingerprint analyst must seek continuing education to learn new techniques and operation of new equipment. Professional certification is also required by most fingerprint analyst employers. This professional certification is achieved following completion of 80 hours of continuing education, 16 hours of training in giving testimony in a court case, an associate degree, and two years of job experience. This Tenprint Examiner certification by the International Association for Identification (IAI) is awarded following a written and technical exam that includes case presentations, fingerprint comparisons, and oral reviews by the IAI board. The IAI also offers a Certified Latent Print Examiner certification which includes 80 hours of continuing education, latent print training, a bachelor’s degree, and two years of job experience. The testing includes an exam, latent print comparisons, and inked impression patterns identification. Those fingerprint analysts achieving this certification can work for law enforcement agencies, the Drug Enforcement Agency, other government agencies, and diagnostic laboratories. The projected job growth in this field is 27 percent through 2024 with a current median salary of $54,000. 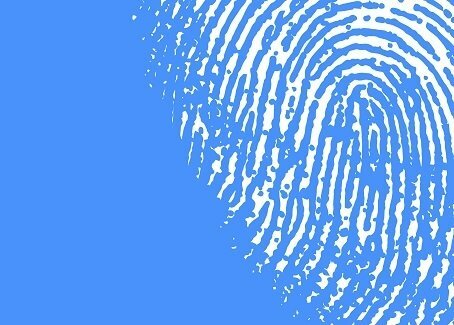 Future computer equipment development and improved technology will combine to give the fingerprint analyst even more reputable and credible evidence to solve crimes and convict criminals with evidence beyond reproach as they excel in this forensic science.